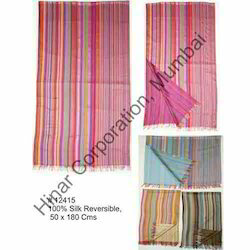 We offer a wide range of pure silk shawls, stoles, scarves that are made from pure silk which is extracted from silk worms. 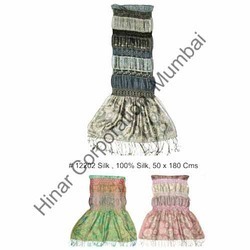 These are soft to wear and rich in looks, and are preferred amongst the elite classes. 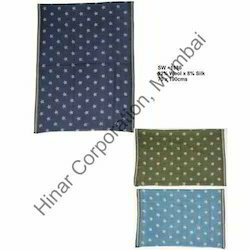 These are easy to wash, durable and lightweight as well as are available in attractive colors, designs and prints. 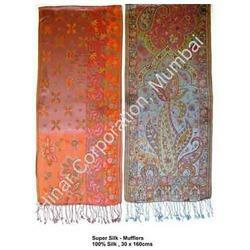 Our range of pure silk shawls include embroidered silk shawls, printed silk shawls and plain silk shawls. 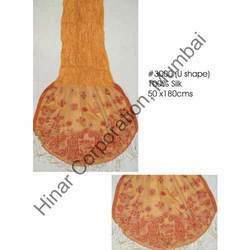 We offer Pure Silk Printed Head Scarves. 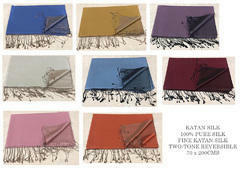 100% Pure Silk Satin Scarves with 50 x 180cms dimensions with reversible use, Two-tone colors presnet in this shawls. 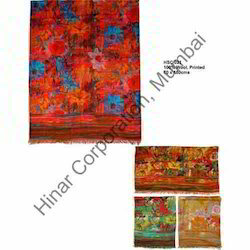 Buyers colors can also be made easily. 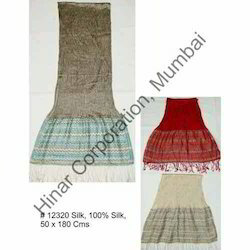 We have ready stocks for same, contact us for same. Silk is Synonymous with a Woman’s Sensuality & Grace… A Silk Scarf demonstrates the Softer Side of your exceptional fashion sense! We are excited to introduce our exclusive line of handmade silk shawls, silk scarves, mufflers, silk wraps each of our silk scarf is a reflection of your divine feminine power and elegance. 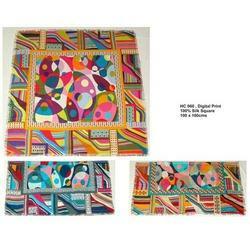 Because while a Silk Scarf is soft to the touch, its colorful flare can appear wild and untamed… Just like you! And let’s face it… Nothing feels quite as spectacular as the sensations of silk touching your body… Well, almost nothing..
We are a trustyworthy organization offering a wide a gamut of Silk Printed Scarves. 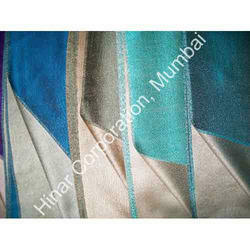 We are counted amongst the top most manufacturers and exporters of Designer Silk Shawls. 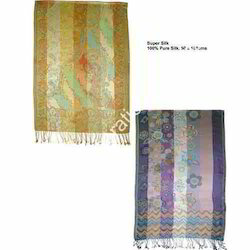 For our clients, we make available a wide variety of shawls in different colors and patterns. 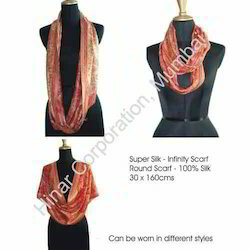 We make sure to use only only quality tested woolen fabrics and lycra for designing these stoles. 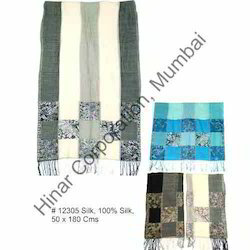 All these Designer Silk Shawls are offered to our clients in exclusive packing at the cost effective prices.